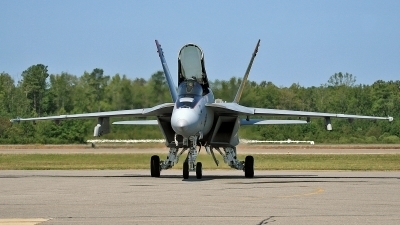 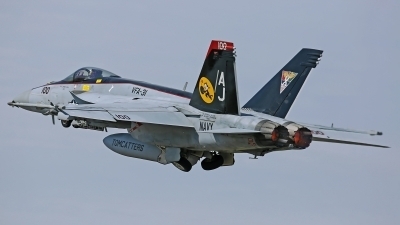 NAS Oceana airshow. 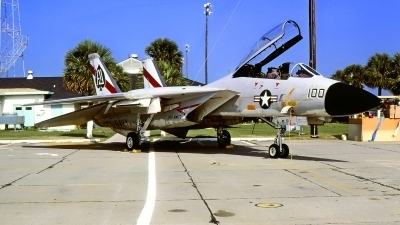 One of many CAG birds on display. 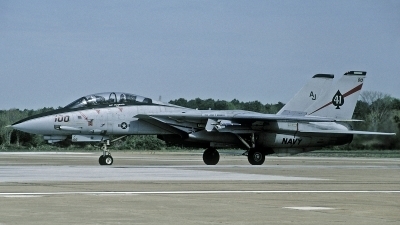 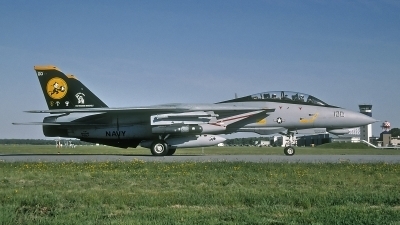 One of a pair of VF-14 Tomcats visiting in the early morning that day during the Allied Force operations. 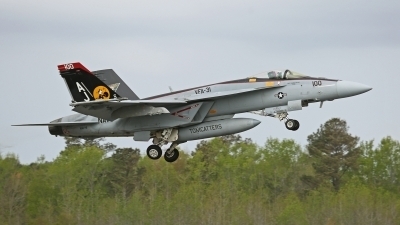 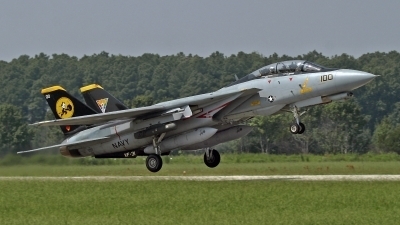 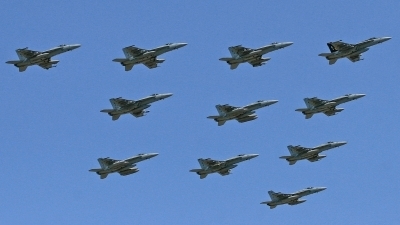 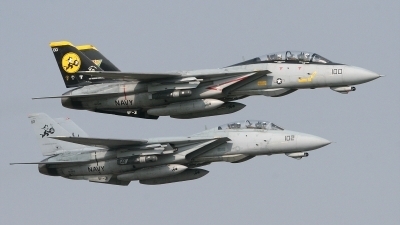 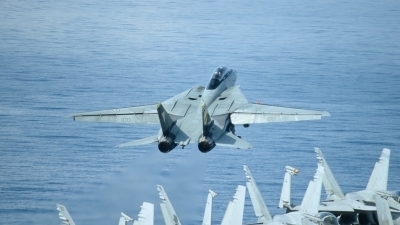 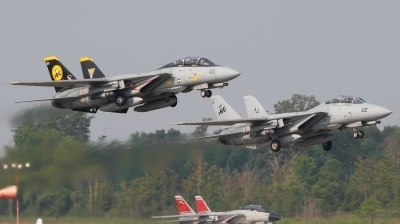 Two Tomcats make an awesome tight formation departure from NAS Oceana. 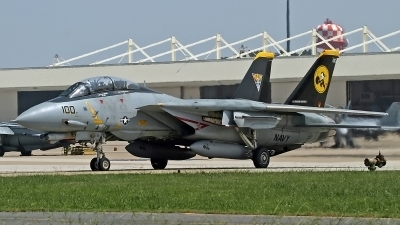 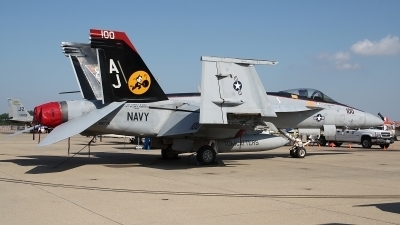 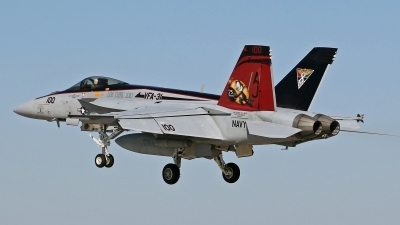 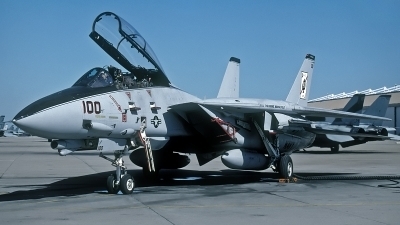 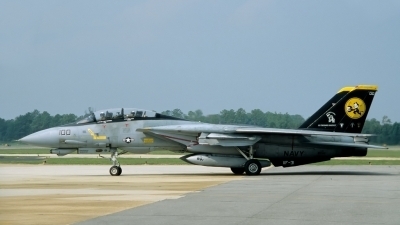 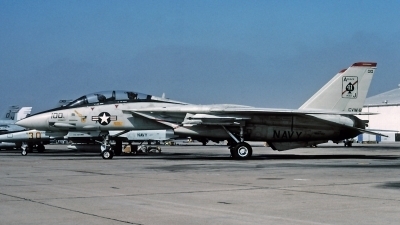 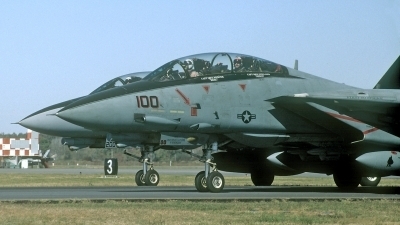 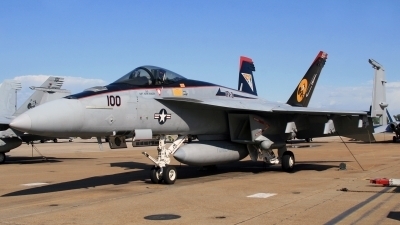 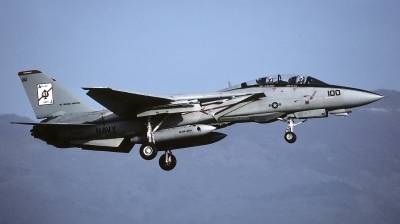 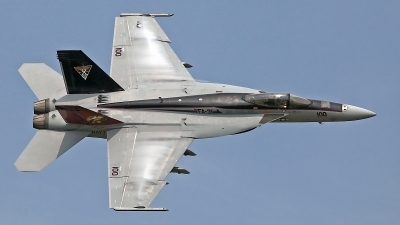 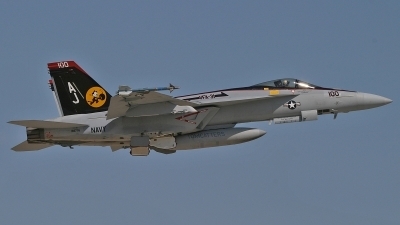 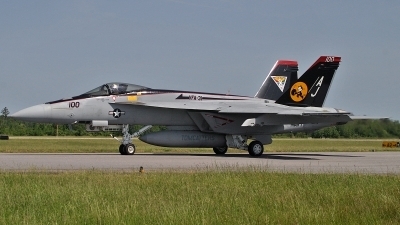 This Tomcat displays a small LGB symbol on the nose gear door signifying its role in the first combat delivery of LGBs by a Tomcat. 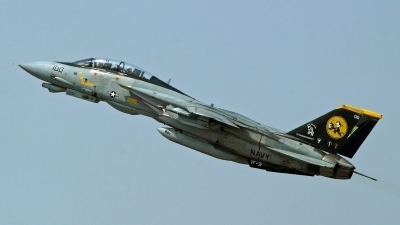 This event took place during OPERATION DELIBERATE FORCE.